Kim Green is a freelance writer and public radio producer. Her work has appeared in Fast Company, Parade, Roads & Kingdoms, Hemispheres, and the Nashville Scene, and on NPR’s Weekend Edition, Nashville Public Radio, Marketplace, and NPR’s Here and Now. She’s also managing editor of Pursuit Magazine, an online publication for professional investigators. Before writing, Green was a flight instructor in Nashville. 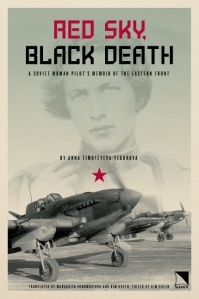 She also co-translated and edited a memoir by a Soviet combat airwoman from WWII; Red Sky, Black Death was published in 2009. SpyCurious: The Sound of Pursuit Podcast – A private investigator-themed podcast co-produced with Hal Humphreys. Tarta de Santiago (Style Blueprint) – In which Hal makes a delicious cake. Wow. You have accomplished list of things I aspire to. Well done, and congrats on finishing the book! Thanks! Finishing is only the first step! Much more to come. I always feel like a beginner in Russian. But I keep trying. Absolutely. I’ll send you an email. And I’ll spell your name correctly this time. I’d love to read the piece about breatcance without “pink sticky sentimentality”. I can really relate to that. Kim, thanks for your honest feedback and heartfelt concerns expressed in today’s Nashville Scene article about the 12south development. I am so grateful that you and Jimmy Granbery had the opportunity to connect. Please be assured that the H.G. Hill Realty Co. will do all that it can to make the 12South neighbors and the Nashville community at large proud of this new development. I was struck by your comment that you’ve never “experienced the Hill family in your neighborhood.” It made me laugh out loud because quite honestly there are so many Hill family members running around Nashville that I don’t know how you missed us! We are always plugging cousin Jimmy Granbery with the exact same ideas, thoughts, concerns, wants and needs for Hill properties. We are in 12South. Perhaps that was me, right next to you at Maffioso’s, or sitting in church at the Hope Center? I’m taking associates to lunch at Burger Up. Jimmy Granbery is getting questions and concerns by both family members and board members alike with each quarterly meeting. This WILL be a responsible, first-class development. 12South is special and will remain special, I am certain. What’s genuinely reassuring to me is the energy and strength coming from the neighborhood. Combine that with the investment and opportunities and 12South will be altogether outstanding. Don’t you think? Thanks again for being a great neighbor, and steward for the 12South community. 4th generation Hill family member, former employee, Board member H.G. Hill Co. Thanks for your gracious note! I replied to you directly via email. But for the benefit of anyone else reading, please let me elucidate: the “When I walk down my street, I do not experience your family” comment was not meant to be snarky, only to make the point that I DO appreciate that the Hill family has a long and local history; but what I directly experience in my neighborhood are the local businesses here and the entrepreneurs that created them—Miranda at Burger Up, Will at Edley’s, Carrie and Matt at Imogene+Willie. They’ve become friends, and their creations (and their pleasant company) enrich my life every day. Again, thanks for sharing your thoughts. As I told your cousin Jimmy, I promise to be honest and fair and to keep an open mind. I hope to meet you soon in the ‘hood! Thank you! I’m on a list!!! There is nothing more pleasurable for me than to read GOOD WRITING. OMG. You are my hero. And, yes. You are on The List!!! “You wash your face with shampoo.” LOL. Really amusing and well perceived list! I’m off to start my Camino in Astorga in one week! I met you and your husband the other day at Pinewood Social and would love to talk to you sometime about writing. I am a fan. Pingback: Pursuit Magazine Sound of Pursuit. Episode 2. Right and Wrong. Pingback: Pursuit Magazine Sound of Pursuit. Episode 5. Spencer for Hire. Pingback: Pursuit Magazine Sound of Pursuit Podcast: A Matter of Fact-Checking. Hi! Two of my friends and I are doing a National History Performance over the Night Witches. We were wondering if we could interview you via email, and ask you a few questions about them to help further our research. We would appreciate this greatly. Hello, I am an 8th grader working on a history project about the Night Witches of WWII. I was wondering if you would be able to answer a few questions for me over an email interview? I am very curious about this topic and I understand that you may be able to help me. Thanks! And I see that you have done an interview before, so I hope you will not mind doing it again. Hi Annie! I would love to. Please feel free to email me at kim [at] storyboardemp [dot] com. We can also schedule a phone call if you’d rather talk by phone. I look forward to hearing from you!